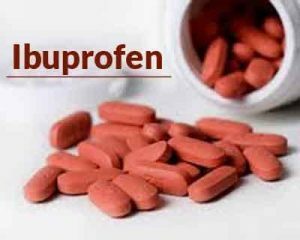 The administration of ibuprofen in infants aged <6 months is not associated with higher rates of renal or gastrointestinal (GI) adverse events (AEs) compared with children aged ≥6 months, according to a new study. The study, published in the journal PLoS One, also found that the rates of AEs were higher in infants <6 months who received acetaminophen and ibuprofen compared with those who received acetaminophen alone. Paul Walsh, Pediatric Emergency Medicine, Sutter Medical Center Sacramento, Sacramento, CA, U.S., and colleagues hypothesized (1) that GI and renal AEs would occur more often in infants first prescribed ibuprofen before rather than after six months of age and (2) that ibuprofen would be associated with more adverse effects than acetaminophen in infants younger than six months. In this retrospective cohorts, researchers evaluated 1,78,336 infants who received ibuprofen or acetaminophen before age 6 months during 2004-2010. They compared the incidence of GI and renal AEs in infants first prescribed ibuprofen before 6 months vs those after 6 months of age. They also compared the incidence of GI and renal AEs in infants younger than 6 months who were prescribed Ibuprofen (+/-acetaminophen) vs those who were prescribed acetaminophen alone. Ibuprofen use was not associated with higher rates of GI or renal AEs in infants aged <6 months compared with those aged ≥6 months. There was no significant difference in the increased incidence of any GI (adjusted rate ratio [aRR], 1.25; 95% CI 1.13-1.38) and moderate or severe (aRR 1.24, 95% CI, 1.09-1.40) GI AEs in infants aged < 6 months who were prescribed Ibuprofen (+/-acetaminophen) vs acetaminophen alone. No significant difference was seen in increased incidence of severe GI (aRR, 0.63; 95% CI, 0.27-1.45) and renal (aRR, 1.84; 95% CI, 0.66-5.19) AEs in infant < 6 months who received ibuprofen (+/-acetaminophen) and acetaminophen only. Necrotizing fasciitis was reported in 4 infants but none with a filled ibuprofen prescription. There were no cases of Reye’s syndrome. “Our findings describe the common clinical scenario where infants receive both acetaminophen and ibuprofen, but our methodology could not identify parent choice between both drugs, nor any other element of compliance.” wrote the authors.